Sharpless 82 is a small emission nebula, surrounded by a spectral blue reflection nebula. 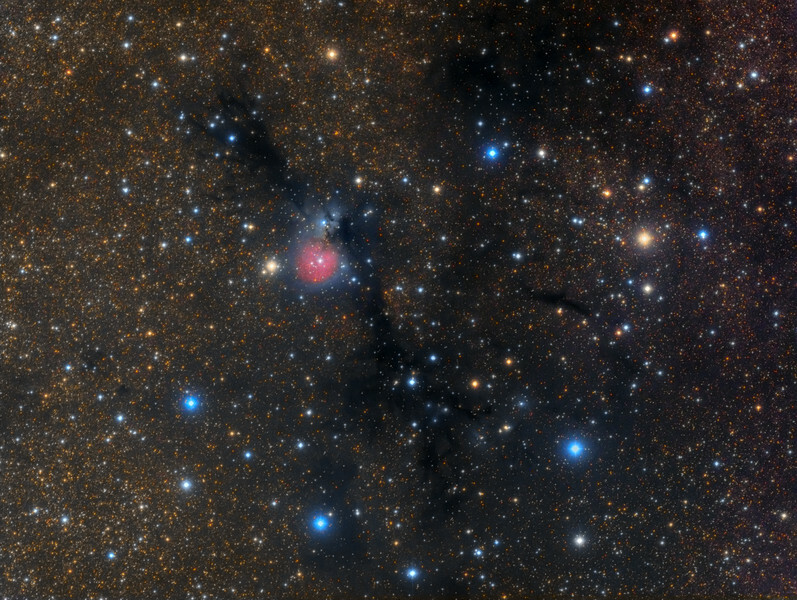 These two nebulas lie ahead a vast and variegated dark cloud of dust, shaped like a eagle wing, that absorbe the light from distant stars. The whole complex takes place in the small Sagitta constellation.